October 3, 2011 – Attorney Daniel Sheehan and his firm mentioned in a Texas Lawyerarticle regarding AdvoCare International, a multi-million dollar nutritional supplement company based in Carrollton, Texas. Read more. 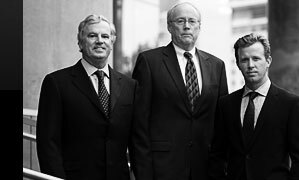 June 21, 2011 – Attorney Daniel Sheehan selected to Lawdragon’s Leading Lawyers in America. Read more. October 11, 2010 – The National Law Journal: Daniel Sheehan represents the National Benevolent Association of the Christian Church in its lawsuit against Weil, Gotshal & Manges. The case has been sent back to Missouri state court. Read more. September 8, 2010 –Dallas Attorney Daniel Sheehan Earns Spot Among “Leading Lawyers in America.” Read more. September 16, 2009 – Dallas’ Daniel Sheehan Again Highlighted Among Texas’ Top Attorneys. Read more. September 23, 2008 – Daniel Sheehan Honored as One of Texas’ Top Attorneys. Read more. August 1, 2008 – Law360: A federal court of appeals has thrown out a state-law malpractice lawsuit against Duane Morris LLP for lack of jurisdiction, saying the fact that the alleged malpractice occurred in a federal trademark suit does not automatically make the case federal. Read more. August 1, 2008 – The National Law Journal: The 5th U.S. Circuit Court of Appeals has thrown out a summary judgment win for Duane Morris in a lawsuit alleging that one of the law firm’s partners bungled a trademark infringement case involving an LSAT test-prep company.Read more. August 1, 2008 – The Judicial View: Robin Singh, owner of a test prep company that used the name “Testmasters”, sued his attorney Richard Redano and law firm Duane Morris LLP for malpractice after an unsuccessful federal trademark lawsuit. Redano represented Singh in the trademark case, where the 5th Circuit held that Singh’s “Testmasters” mark was invalid since Singh failed to present evidence of secondary meaning in the mark. Singh claimed that Redano should have known to present available evidence that would have established secondary meaning. Read more. July 10, 2008 – Texas Lawyer: In a decision that changes the standard for determining whether a contract is unconscionable, a divided Texas Supreme Court recently held that a payment-on-termination provision in a Houston firm’s contingent-fee contract is contrary to public policy. Read more. September 17, 2007 – Texas Lawyer: 5th Court: Attorneys’ Fees Not Recoverable As Legal-Mal Damages. Read more. September 12, 2007 – Daniel Sheehan Recognized Among Texas’ Best Lawyers. Read more. February 19, 2007 – Texas Lawyer: Call Waiting. 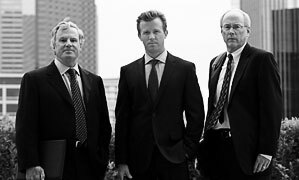 Clients Make A Federal Case Out Of A Lawyer’s Alleged Breach Of Fiduciary Duty And Win. Read more. 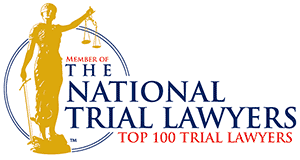 January 18, 2007 – Daniel Sheehan Again Honored Among Nation’s Top Attorneys. Read more. October 23, 2006 – Texas Lawyer: Pro Bono-Turned-Contingent Fee Case Results In Reprimand. Read more. October 20, 2006 – Daniel Sheehan Earns Spot Among Texas’ Top Lawyers. Read more. 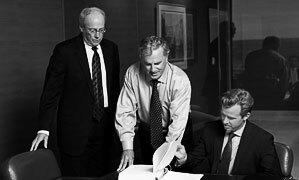 September 8, 2006 – Daniel Sheehan Named One of America’s Leading Lawyers. Read more. February 28, 2006 – AdvoCare Wins $14.3 Million Federal Verdict in Breach of Contract, Fraud case. Read more. December 19, 2005 – Texas Lawyer: The Angry Client: See You in Court. Read more. August 26, 2005 – Texas Lawyer: Church Charity Sues Weil, Gotshal Over Bankruptcy Advice. Read more. September 26, 2005 – KSDK-NBC Channel 5: Dan Sheehan quoted in story about a lawsuit filed against Weil, Gotshal & Manges on behalf of National Benevolent Association. September 23, 2005 – St. Louis Business Journal: Dan Sheehan quoted in article about a lawsuit filed against Weil, Gotshal & Manges on behalf of National Benevolent Association. April 25, 2005 – Daniel Sheehan quoted in “Asked & Answered” regarding professional requirements and standards of personal conduct for lawyers. The Dallas Morning News: In cooperation with the Dallas Bar Association, Sheehan & Associates generously gives money to Habitat For Humanity to build houses for the poor. Texas Lawyer: Sheehan & Associates represents clients in the Vernon Savings & Loan bankruptcy case. The case results in a ruling by a federal judge that gets national news coverage. Associated Press: Sheehan & Associates represents a Dallas dance hall owner in a case with constitutional issues. Dan Sheehan argues before the United States Supreme Court. United Press International: Dan Sheehan represents a California man charged with conspiring to sell helicopter gunships to Iraq, Libya and South Africa. Contact Daniel Sheehan & Associates, LLP, to learn more.